//admin: split out from the Past Present thread. Schiehallion wrote: I think if this thread shows nothing else, it shows, apart from slum clearance, how cheap and crappy things are nowadays. Particularly when it comes to shop fronts and businesses. These 4 (the first from My Kitten's excellent Kilmarnock Rd series and the second from an earlier post from JamesMc) really show how cheap and nasty things look today with garish posters stuck everywhere. 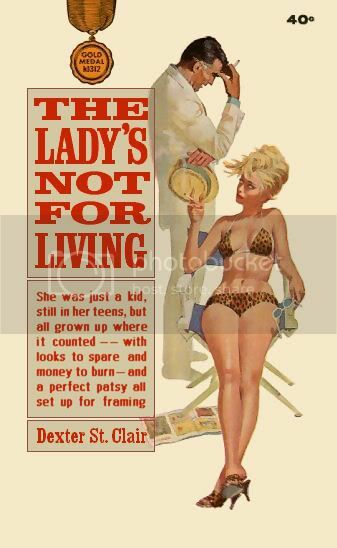 There was a classiness in the old days that's been lost. It's been lost in Glasgow..... but take a look at much of edinburgh where there is gorgeous handpainted shop fronts and signage everywhere....and it looks great. It's one of my pet hates too... the majority of signage is visually offensive and there is no need! The shop owner probably knows no other way...and posibly even imagine it looks great. It doesnt. Guidance is needed. Bring back painted fronts and pretty the place up!!! Last edited by Sharon on Wed May 03, 2006 10:14 am, edited 1 time in total. The crappy shop fronts you see now are another example of the age we live in. Everything has to be bigger and brighter before folk pay attention. Shop owners want you to notice THEIR shop, so the bigger and more colourful the signs the better. I agree we should do our best to get Glasgow to revert to the classy style. 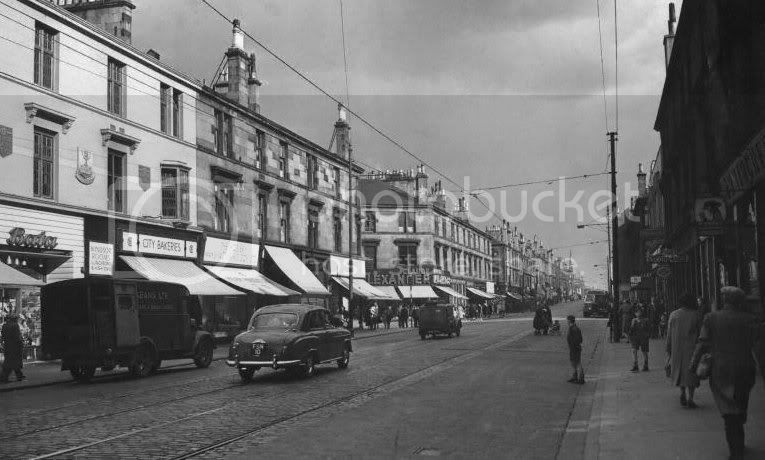 Some shops were refurbished fairly recently and the owners were made to have all the frontages the same colour and style. I've forgotten where it was but no doubt someone here will have a photo! I actually think another factor really is most people don't have a clue what looks good... they need a sign... go to their local sign maker, who is quite possibly not much of a designer and do a pick and mix from the catalogues. Big and flashy isn't necessarily what catches the eye! ibtg wrote: Some shops were refurbished fairly recently and the owners were made to have all the frontages the same colour and style. I've forgotten where it was but no doubt someone here will have a photo! The shops under the Hielanman's Umbrella are in the same style I think. If I remember right they're all green with gold writing. I'm assuming maybe that's a condition of the lease from Network Rail? Where will the wifies of Partick get their (not so) smalls now! A Creative Shopfronts project involving the local community, artists and the shopkeepers redesigning 14 shop fronts has brought a lot of support to the project with 94.6% of local people believing the changes to these shops will transform the look of the area in a positive way. This project aims to encourage more people to use the area to carry out their shopping in an attractive environment. a Small Gallery is here but most of the shops look pretty good although it's a bit balamory. Just a note on the closure of Kelvin House. I miss them most for the fact I could buy ready-made curtains in 108 inch drop and if they didn't have them in stock, they would order them for you. Hereabouts, many of the houses need curtains that length. I've tried a few other places since KH closed and the majority of them don't stock them and can't/won't order them, preferring to sell made-to measure. Just 'cos we've got big windaes doesn't mean we've got big wallets! On modern signage, perhaps it is cheaper to get a plastic sign made up than to have a skilled sign painter make a custom one for you. I must say that I do miss the old subdued shopfront signage, what the hell is wrong with this? 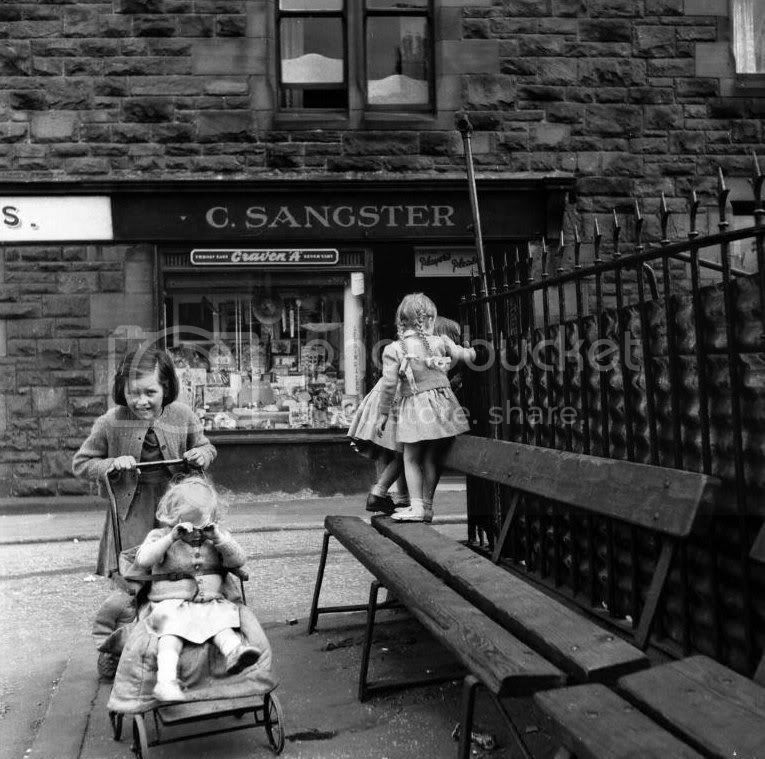 On the subject of canopies, I was amazed to read that the Shawlands and Strathbungo Community Council have opposed proposals by several pubs to install these kind of canopies to afford us leper colonies of smokers a little protection, lest we die of pneumonia before the cancer has time to develop. Anywho, to the point: I dont understand this opposition and I don't understand whose view the Community Council are under the impression they are representing? Is anyone here involved with the CC or know more? I don't know the details regarding Strathbungo but I have seen some cheap looking awnings glued on to decent looking tenements. Part of my job with Curleys was to pull the awnings down in the morning and put them back again at night. They were substantial beasts and probably could have withstood monsoons. And there is nothing like taking a broom and punching the water out of a drooping and full awning. crusty_bint wrote: On the subject of canopies, I was amazed to read that the Shawlands and Strathbungo Community Council have opposed proposals by several pubs to install these kind of canopies to afford us leper colonies of smokers a little protection, lest we die of pneumonia before the cancer has time to develop. Some of the canopies are pretty nasty looking and obtrusive - maybe they think it won't look nice? The one on Whistler's Mother on Byres Road looks awful. The sole purpose of comminity councils seems to be to resist change. The attitude seems to be that its easier to do nothing than be faced with alternatives as to which of possibly several alternatives to support. I was a small nameless town two weks ago where the local post office had been relocated to a site which didn't have wheelchair access although a ramp had been on the original plans. Allegedly the community council didn't like the look or location of the original ramp and are now in detailed discussions with 'interested parties' abou how to proceed. In the meantime wheelchair users can't access the post office. A member of staff conducts business in the street. Well, they're representing me, for a start. Not particularly keen on having to wade through crowds of smokers to get to my flat near the pub, and I'm even less keen on having a giant Foster's advert (which will be what the awnings will get used for) outside my window. Which is pretty much the kind of uglification this thread's about, last time I looked. I'm not involved with the CC, but I've been to a couple of Strathbungo Society meetings and no-one was under the impression that awnings would be a good thing. From what I've heard, the S&S CC has a pretty good track record of blocking things like beer gardens, so I don't fancy these pubs' chances of getting their awnings.